We aim to encourage an exchange of experiences in the group on the theme of ski-touring and avalanches. Adapted to beginners, advanced and all who venture out in the snow, we cast a critical eye over the principles on which decisions can be made. Achieving a balance between personal and collective thinking is the objective of this valid “mental training”. 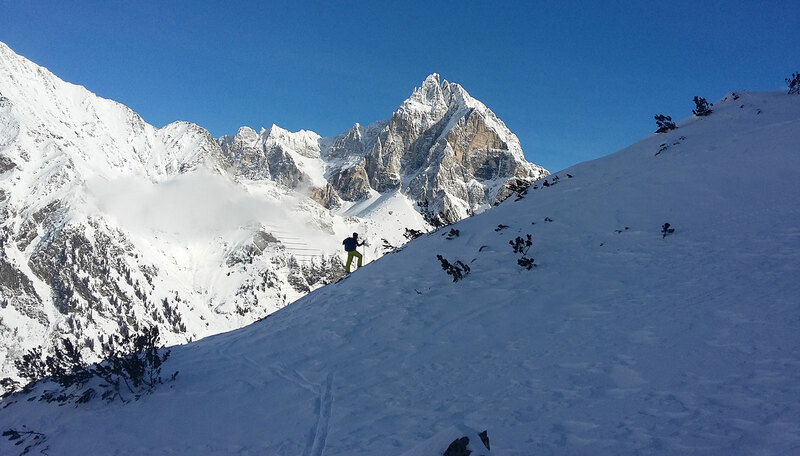 In the framework of two jointly organised ski-tours we aim to support and question strategies and decisions. Services/Price: Tour taxi & Course – €200.